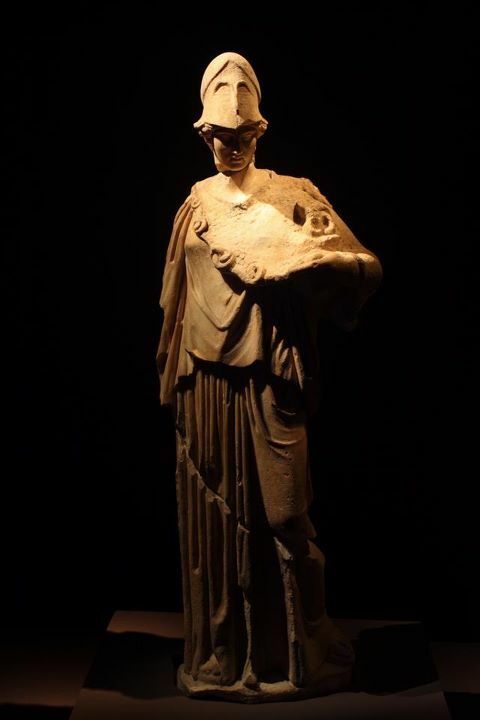 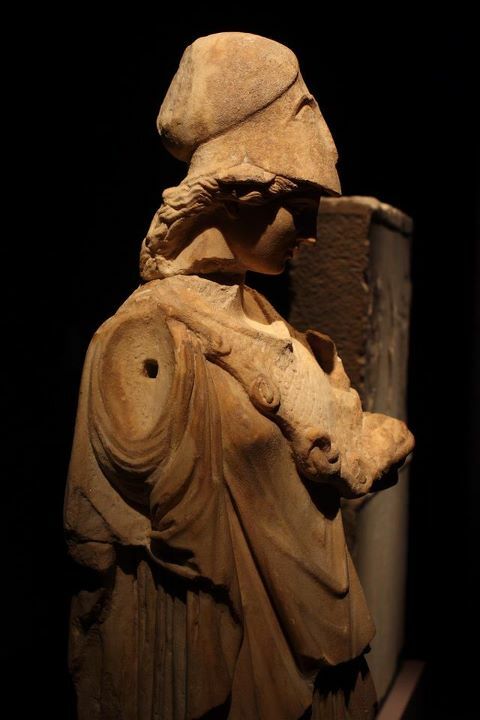 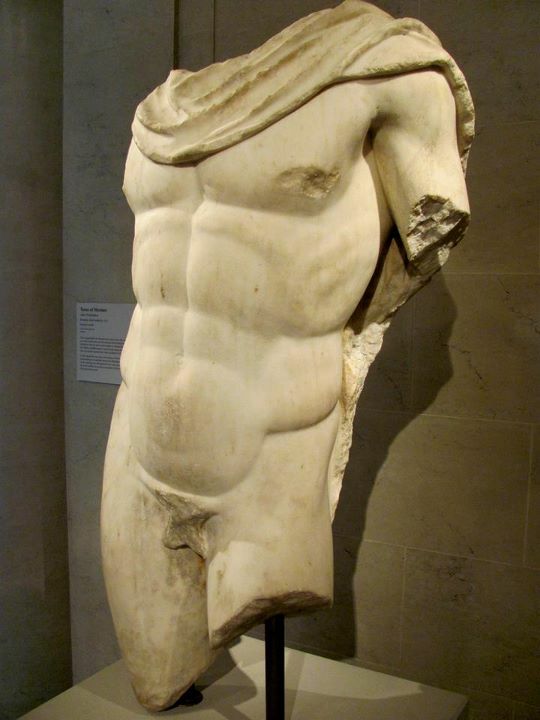 The origins of greek sculpture have been ascribed the wooden cult statues that were described by Pausanias as xoana. 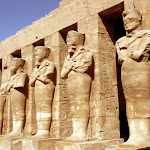 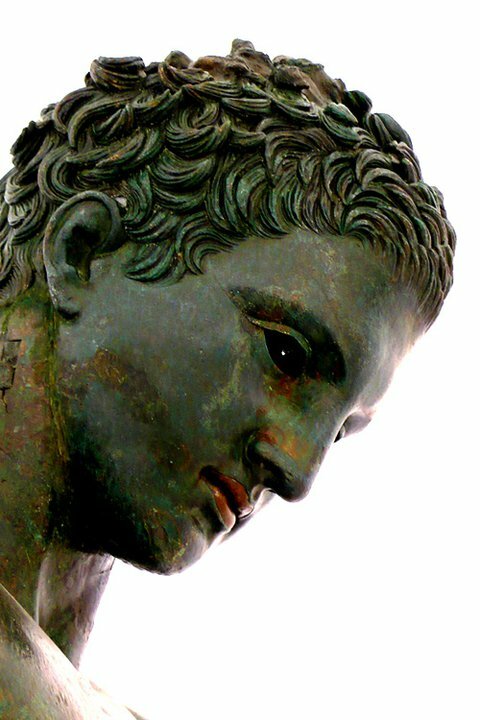 No such statue survives, and the descriptions of them are vague despite the fact that some were objects of veneration for hundreds of years. 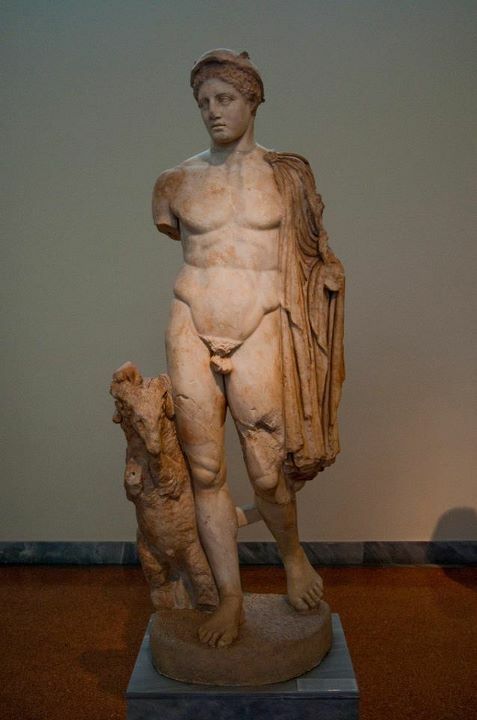 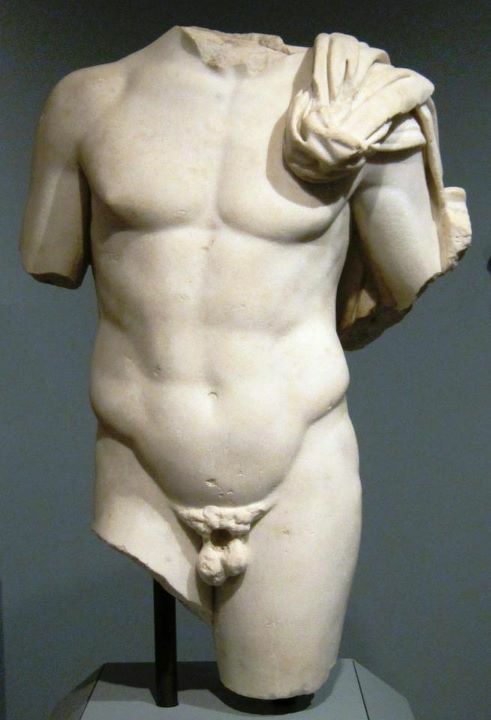 The first piece of Greek statuary to be reassembled since is probably the Lefkandi Centaur (Eretria Mus.) 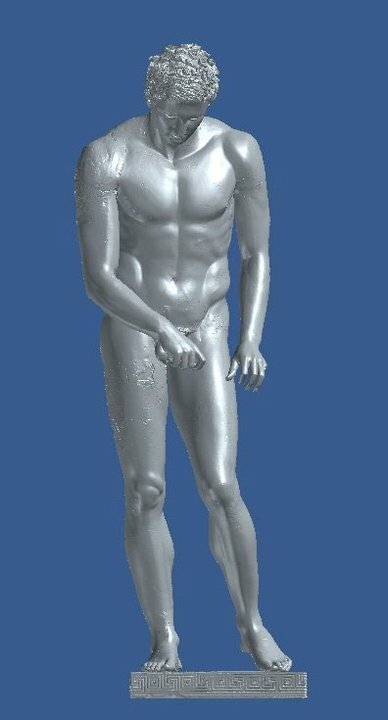 found on Euboia. 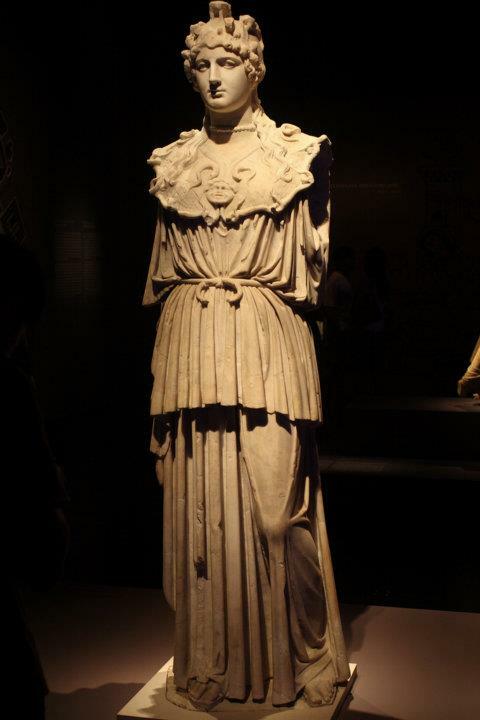 This terra cotta statue of circa 900 BC was constructed in parts before being dismembered and buried in two separate graves. 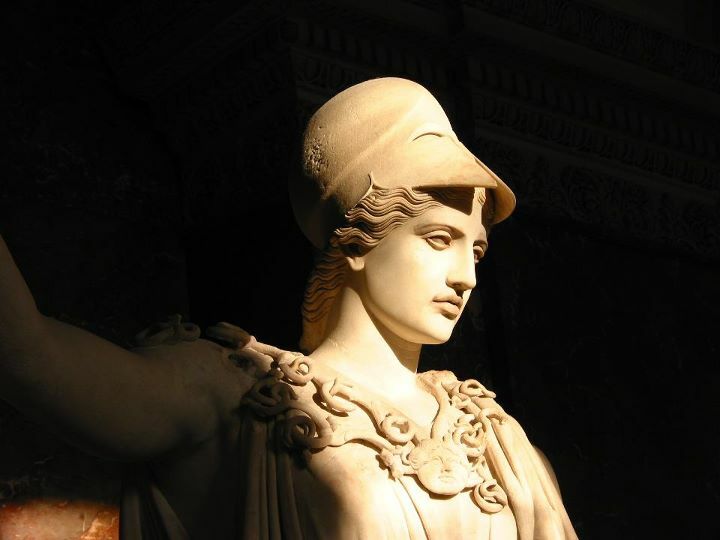 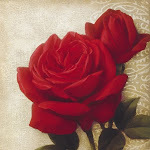 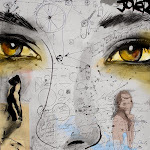 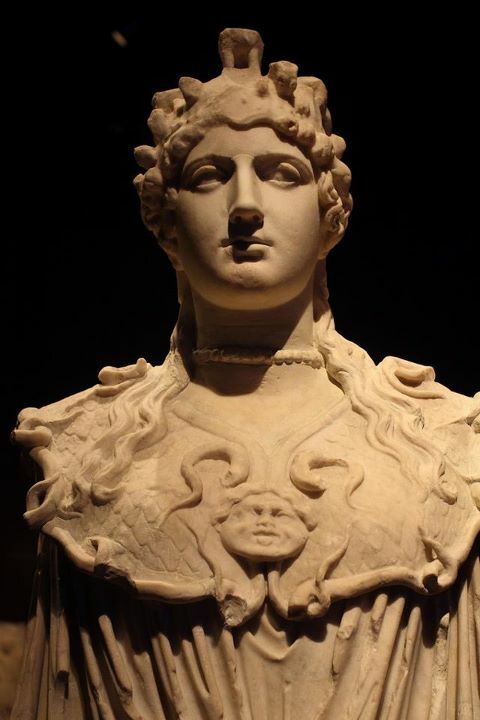 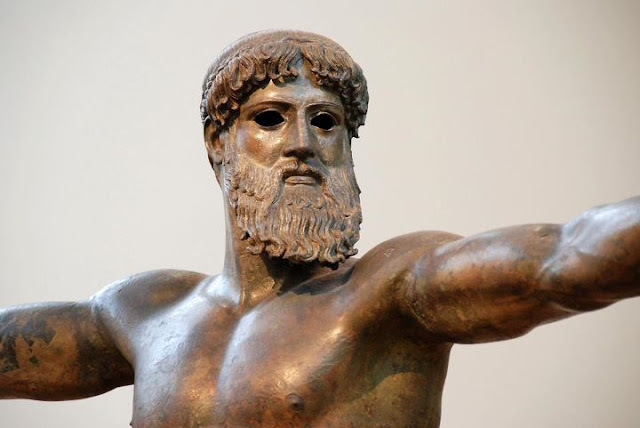 Greeks made art to show how wonderful, and beautiful the gods and goddesses are. 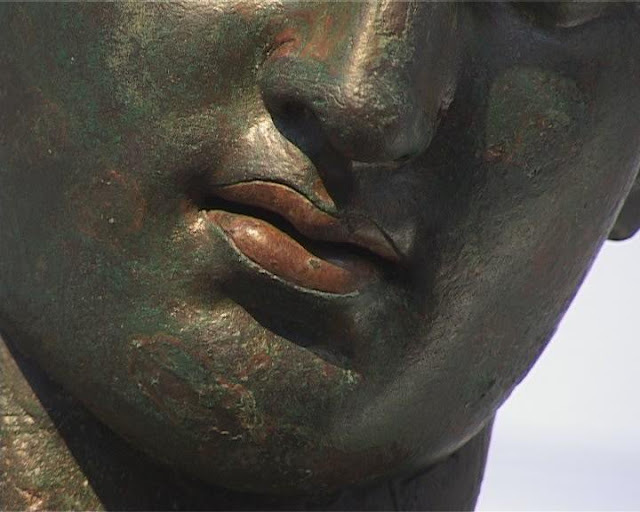 It seeks an intentional mark on its knee - it has been postulated that this indicates that the statue represents Cheiron and the wound from Herakles' arrow. 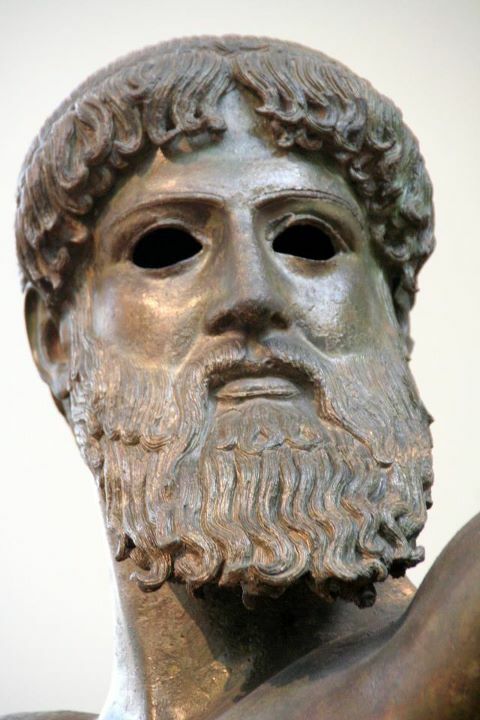 If so, it would be the earliest known depiction of myth in Greek History. 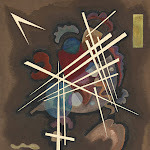 The forms from the geometrical period, ca. 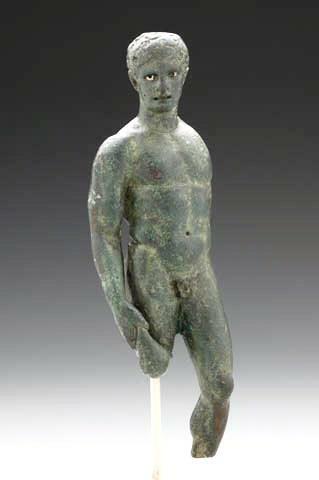 900 to 700 BC, were chiefly terracotta figurines, bronzes and ivories. 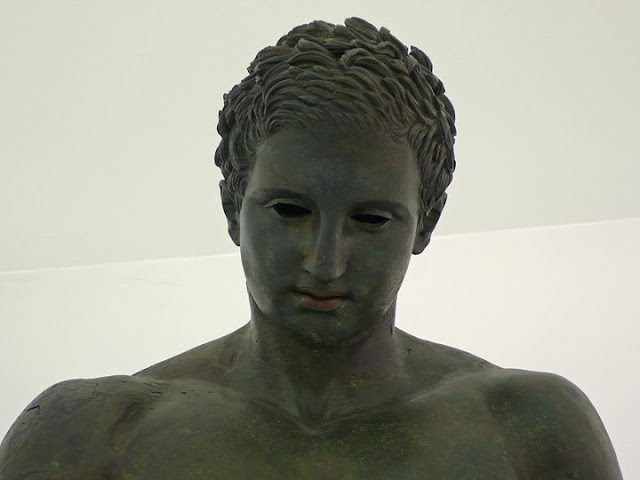 The bronzes are chiefly tripod cauldrons and freestanding figures or groups. 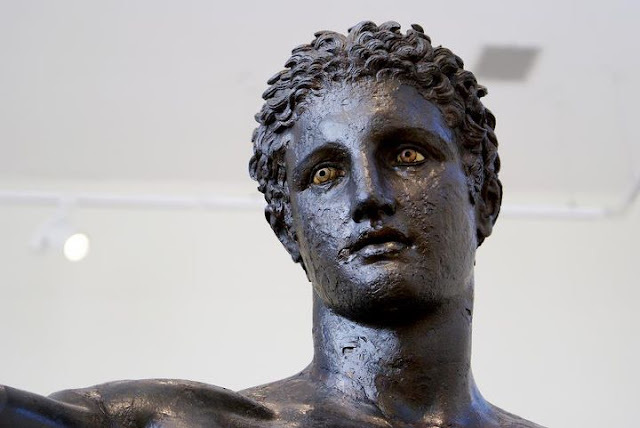 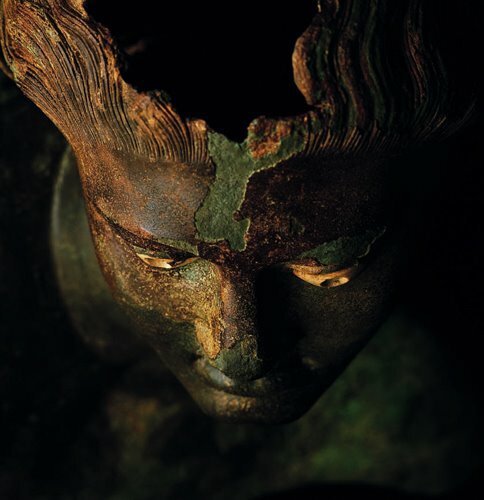 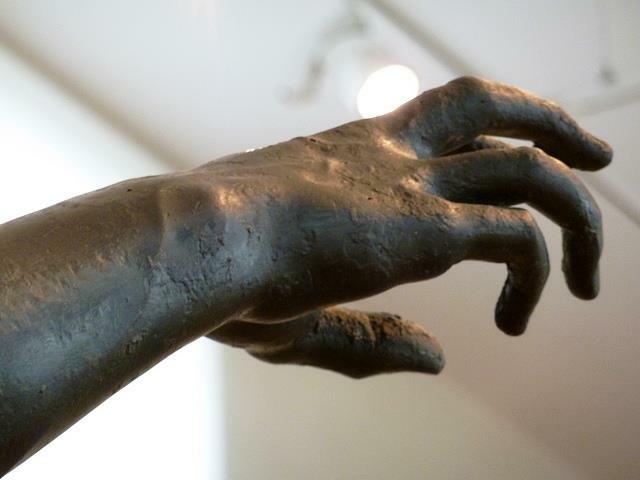 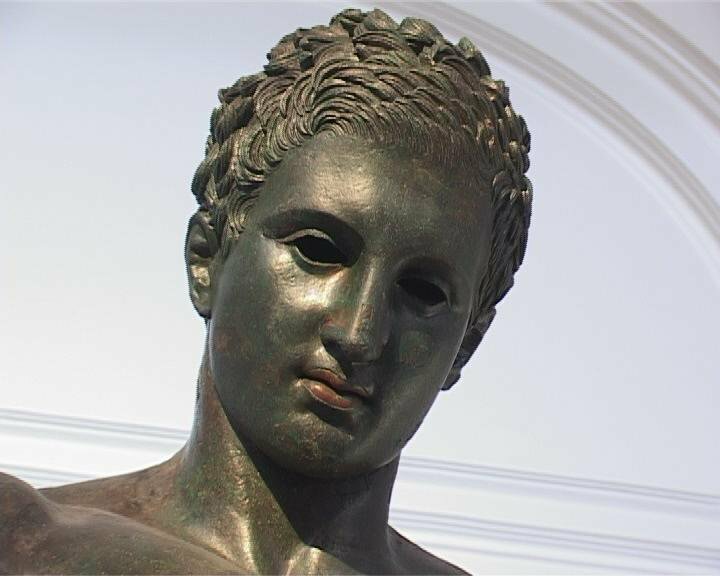 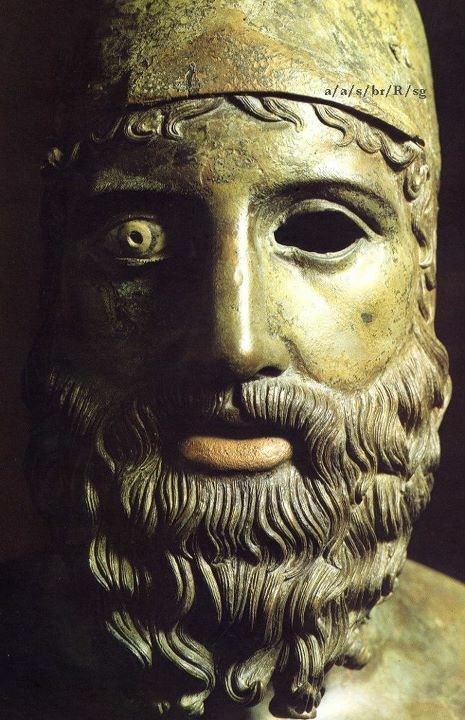 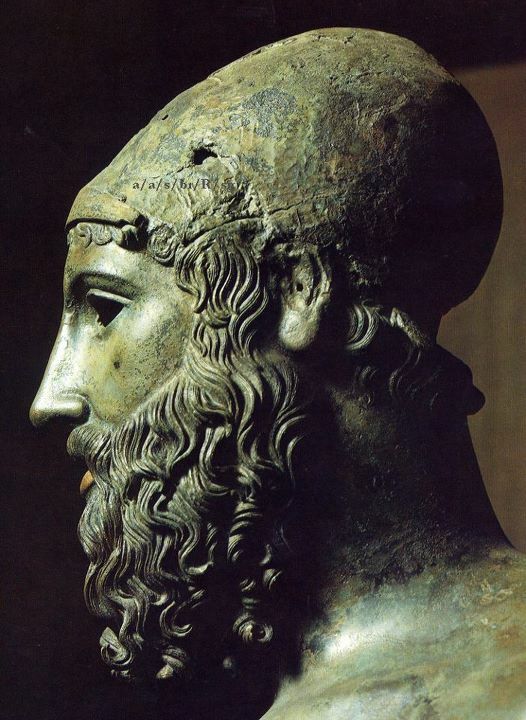 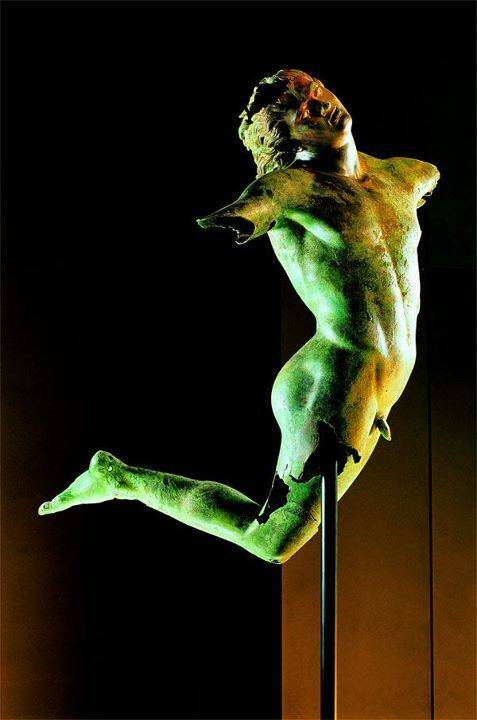 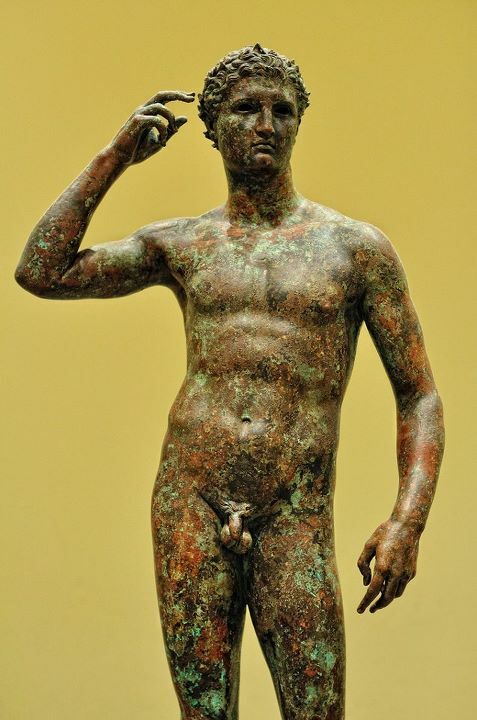 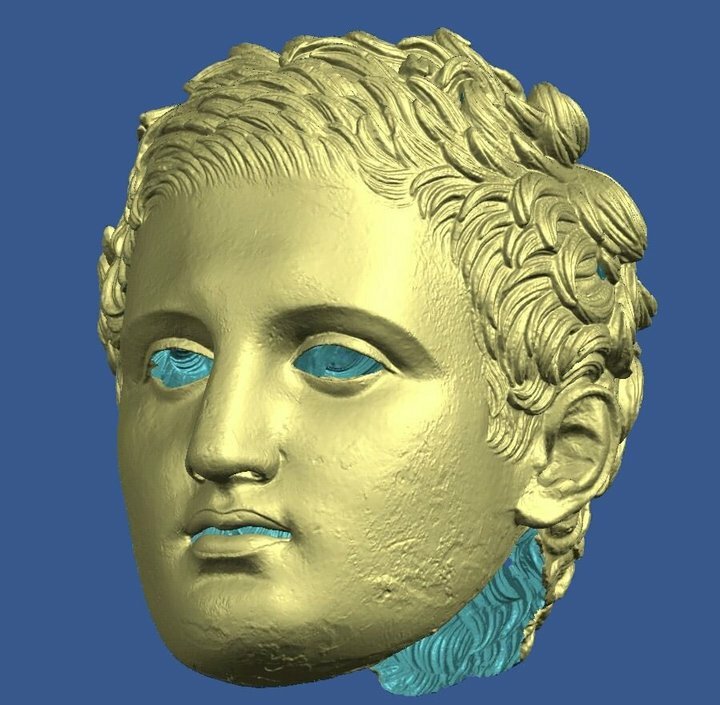 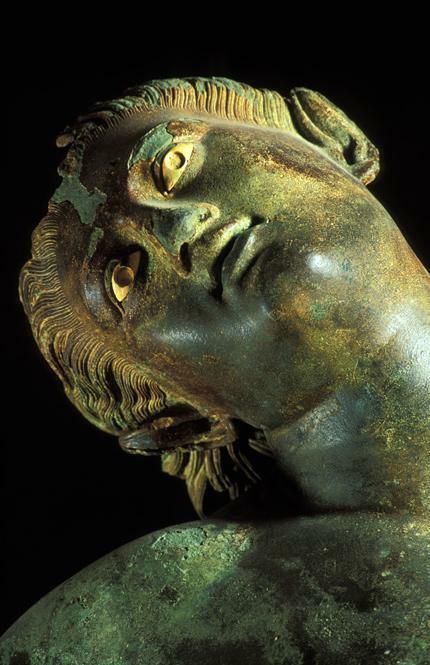 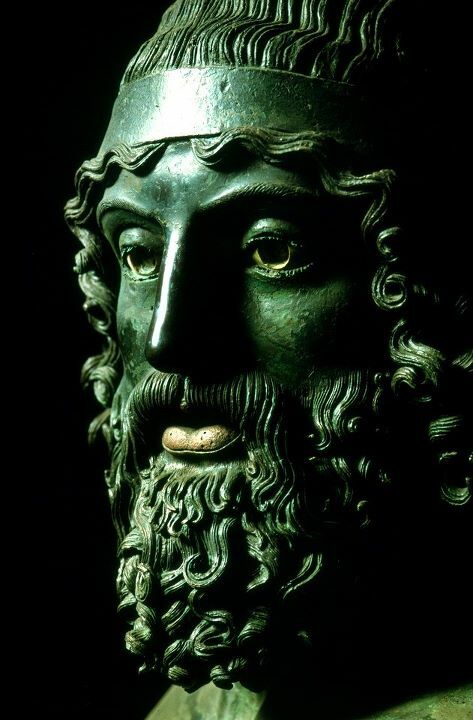 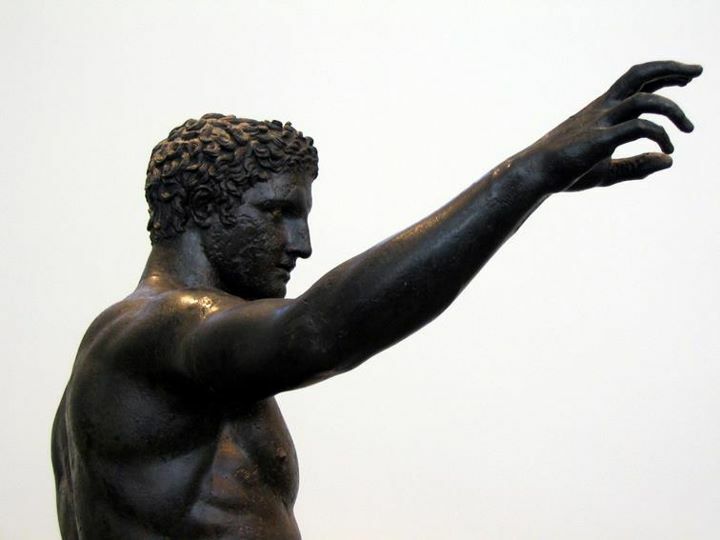 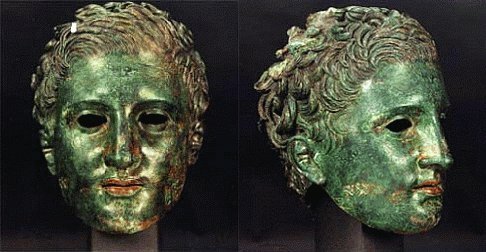 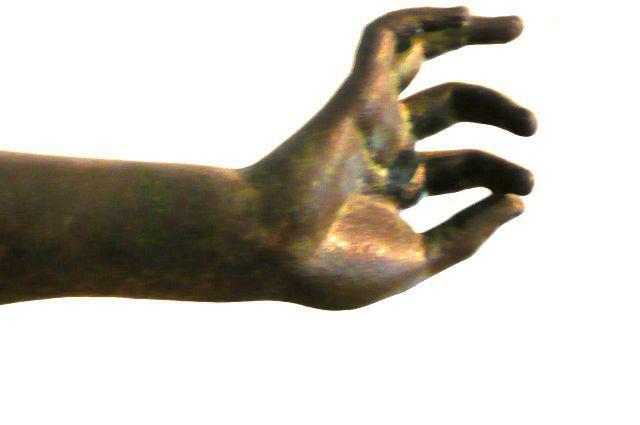 Such bronzes were made using the lost-wax technique probably introduced from Syria and are almost entirely votive offerings left at the Hellenistic civilization Panhellenic sanctuaries of Olympia, Delos and Delphi. 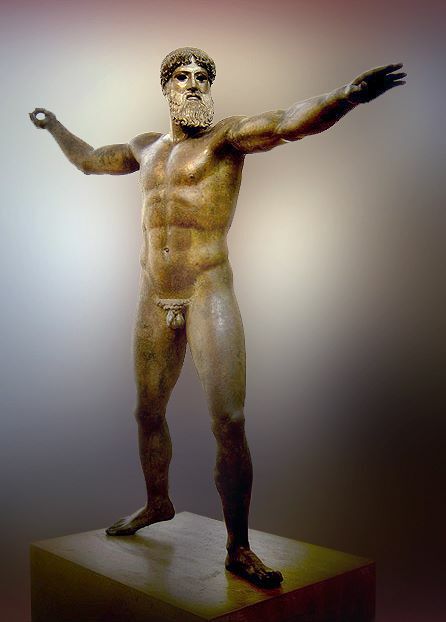 These were manufactured elsewhere and a number of local styles may be identified by finds from Athens, Argos and Sparta. 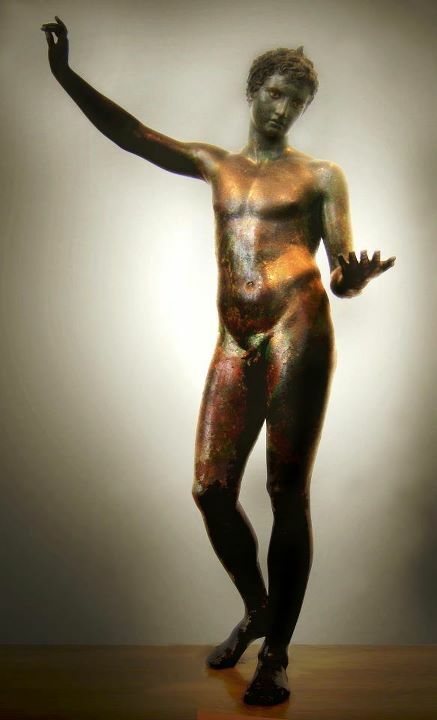 Typical works of the era include the Karditsa warrior -Athens Br. 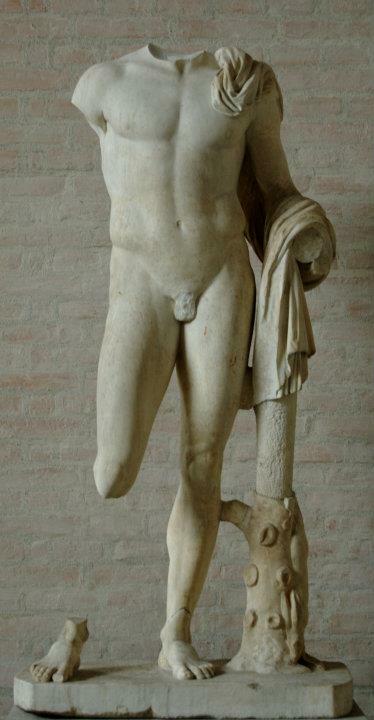 12831, and the many examples of the equestrian statuette. 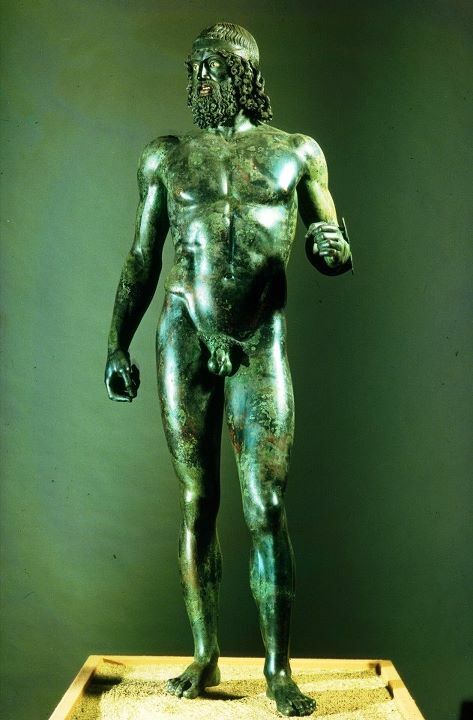 The repertory of this bronze work is not confined to standing men and horses however, as with the vase painting of the time we also find stags, birds, beetles, hares, griffins and lions. 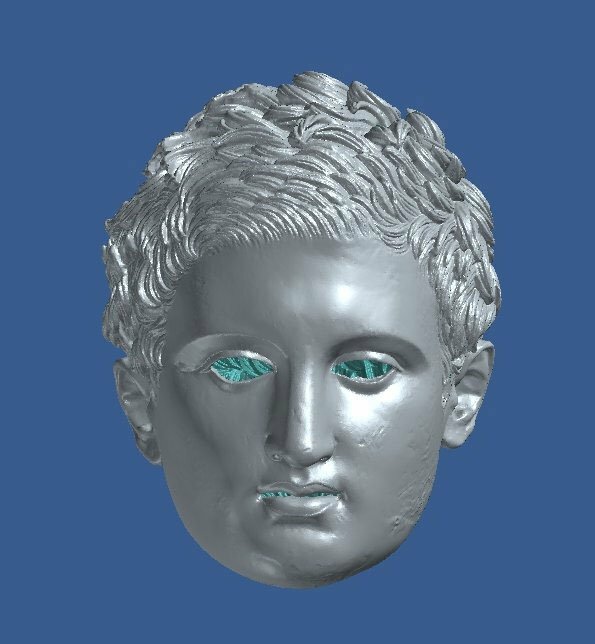 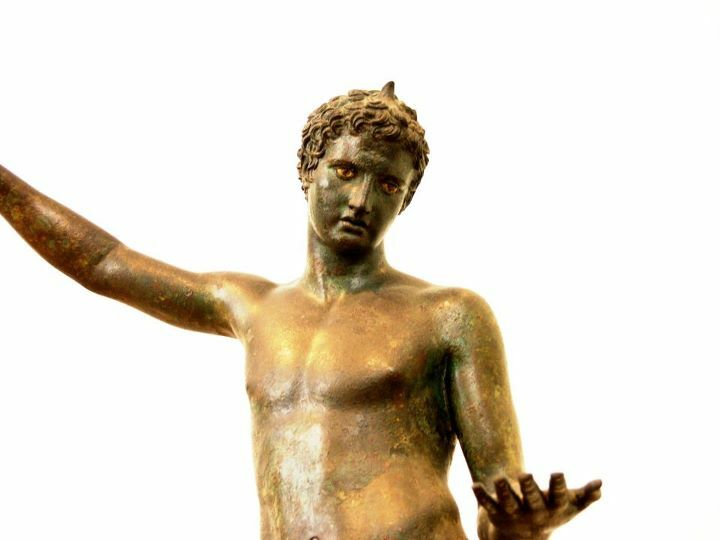 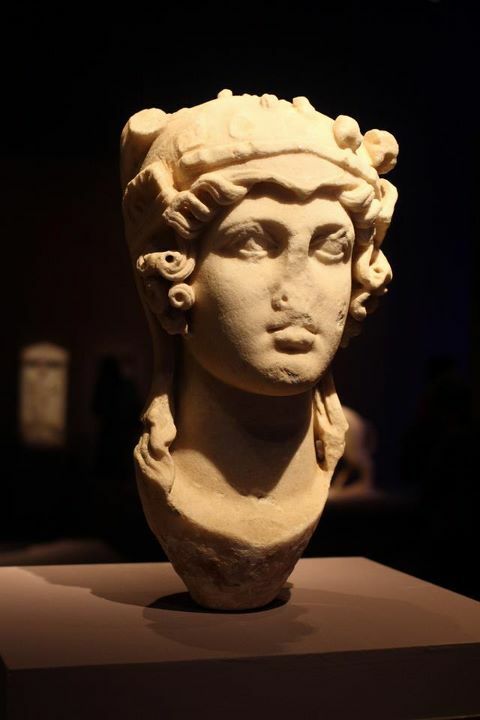 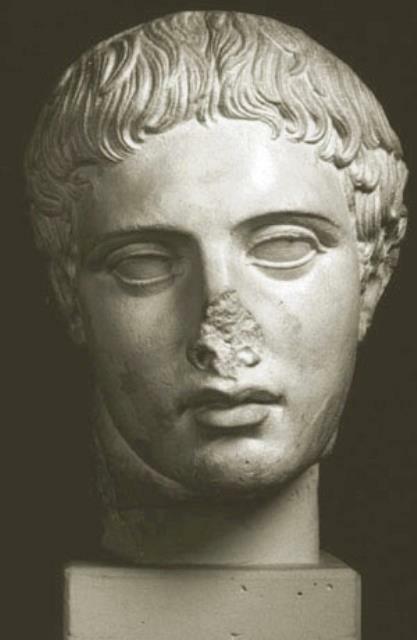 There are no inscriptions on early to middle geometric sculpture until the appearance of the Mantiklos "Apollo" -Boston 03.997, of the early 7th century found in Thebes. 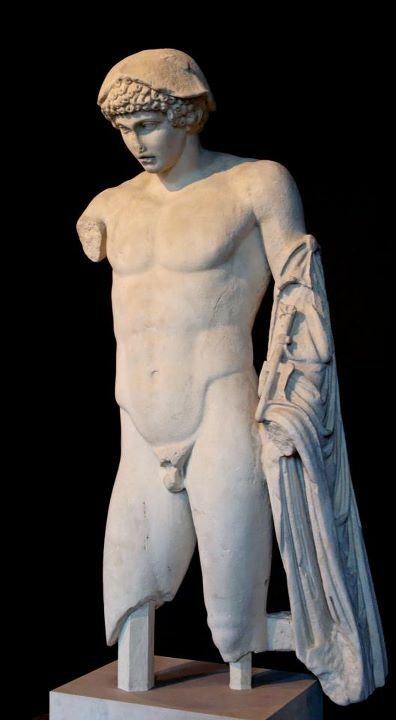 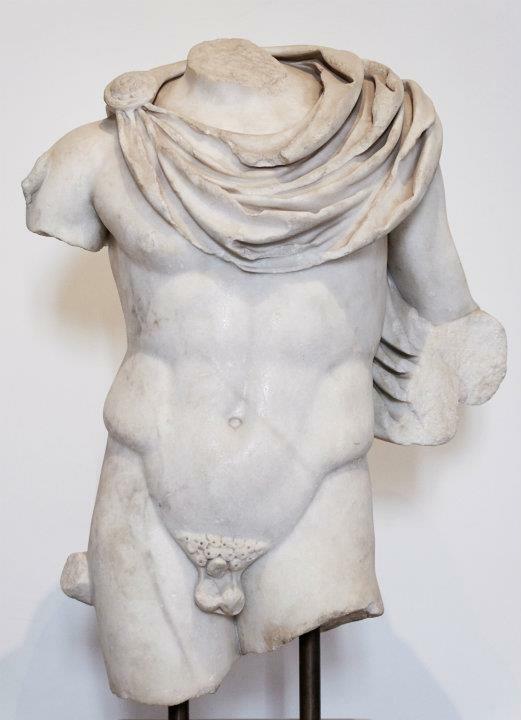 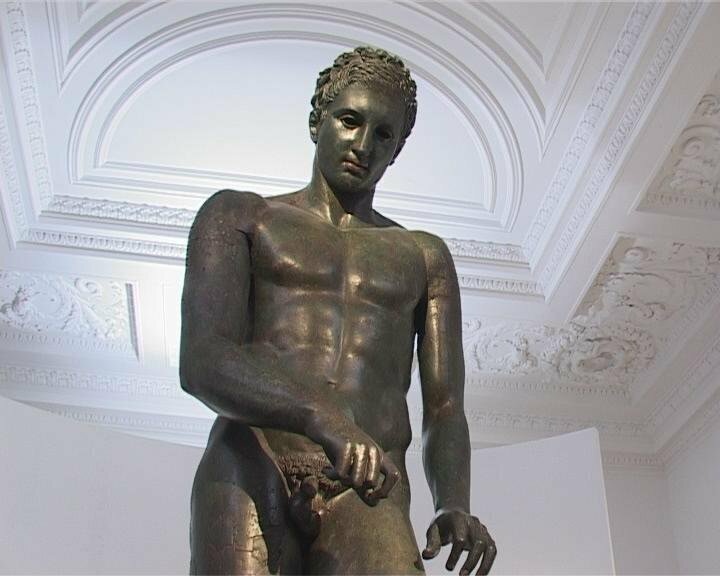 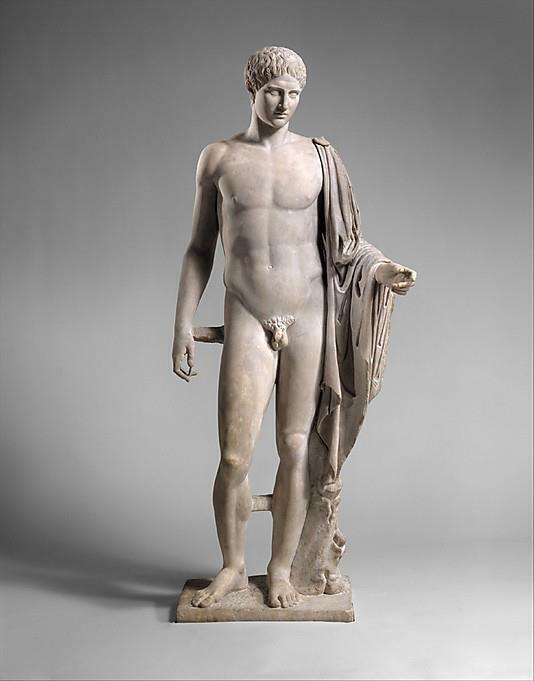 This is a standing figure of a man with an almost daedalic form with the legend "Mantiklos offers me as a tithe to Apollo of the silver bow; do you, Phoibos, give some pleasing favour in return" across his thighs in hexameter verse. 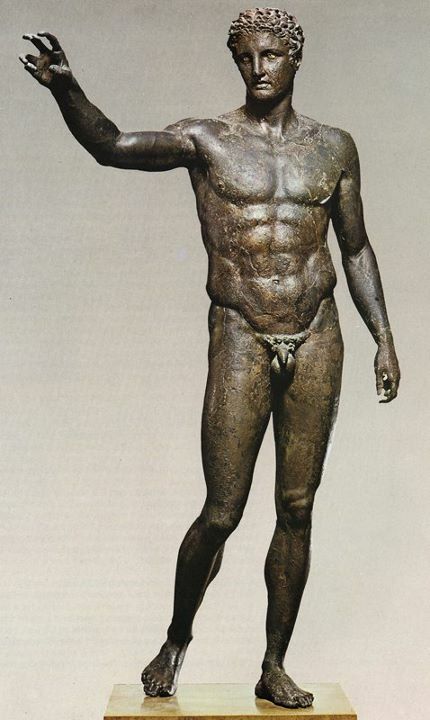 Apart from the novelty of recording its own purpose this sculpture it adapts the formulae of oriental bronzes as seen in the shorter more triangular face and slightly advancing left leg. 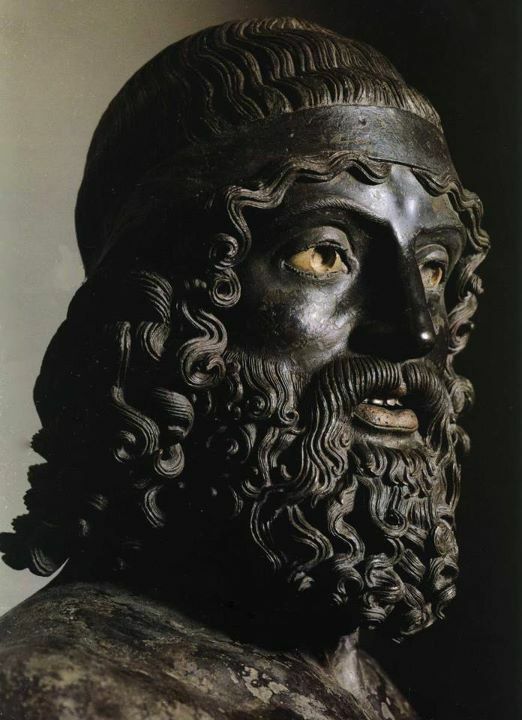 This is sometimes seen as anticipating the greater expressive freedom of the 7th century and as such the Mantiklos figure is referred to in some quarters as proto-daedalic. 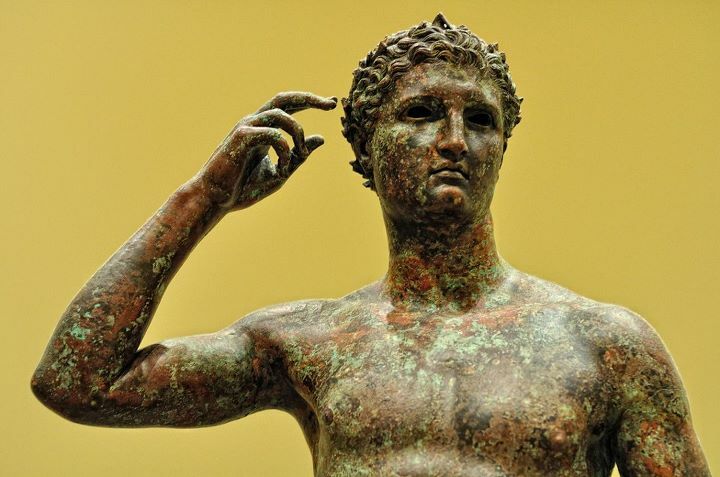 Later in the 1900s Greek sculpture was still bronze casts. 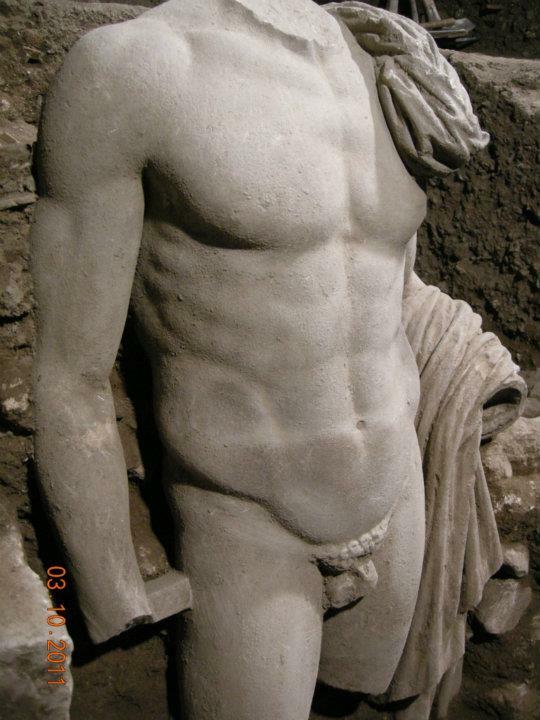 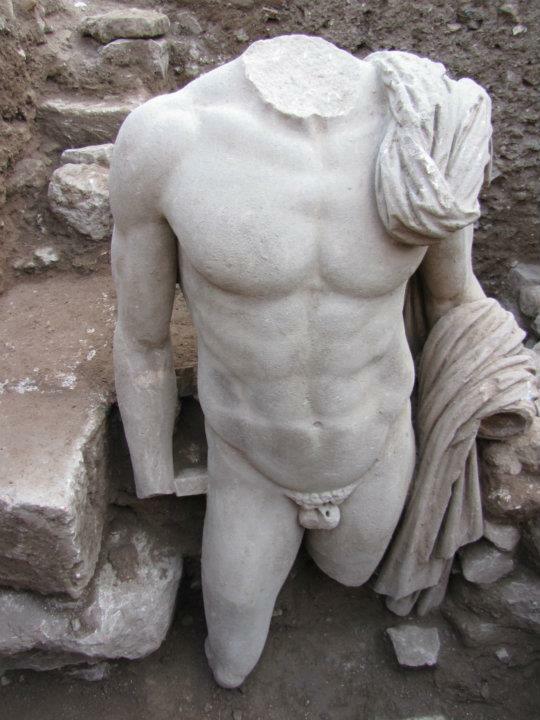 Greek sculptures were very detailed and decorative.